The last thing we heard about the Samsung Galaxy Note for T-Mobile was that the handset would launch on the network in the US on the 11th of July, this has yet to be confirmed by T-Mobile. It looks like were are getting closed to the release of the Galaxy Note on T-Mobile, as the handset has just cleared the FCC, and T-Mobile could be getting ready to launch the device. As a reminder, the Galaxy Note comes with a 5.3 inch Super AMOLED touchscreen display with a resolution of 1280 x 800 pixels plus the latest version of Android. Other specifications on the Samsung Galaxy Note include a dual core 1.4GHz processor and it comes with Android Gingerbread 2.3, plus dual cameras, on the back there is an 8 megapixel camera with an LED flash, on the front there is a 2 megapixel camera for video chat. 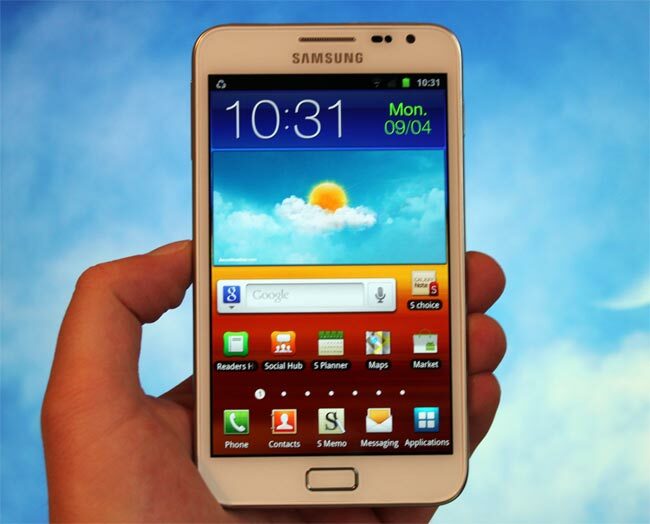 As soon as we get some sort of official launch date for the Samsung Galaxy Note on T-Mobile we will let you guys know.